Are you experiencing headaches and jaw tenderness? Notice an annoying clicking sound when you open or close your mouth? You could be suffering from temporomandibular joint disorder, known as TMD (also called TMJ). The temporomandibular joint is like a sliding hinge that connects your jaw to your skull. TMD signifies a problem with the chewing muscles and joints of the jaw, often caused by stress. Other symptoms can include facial pain or facial swelling, earaches as well as difficulty chewing or even yawning. Mouth guards can relieve symptoms so that you feel very little or no discomfort. If you suspect you have TMD or bruxism, talk to your dentist here at Williamsburg Dental and ask about fitting you with an appliance. 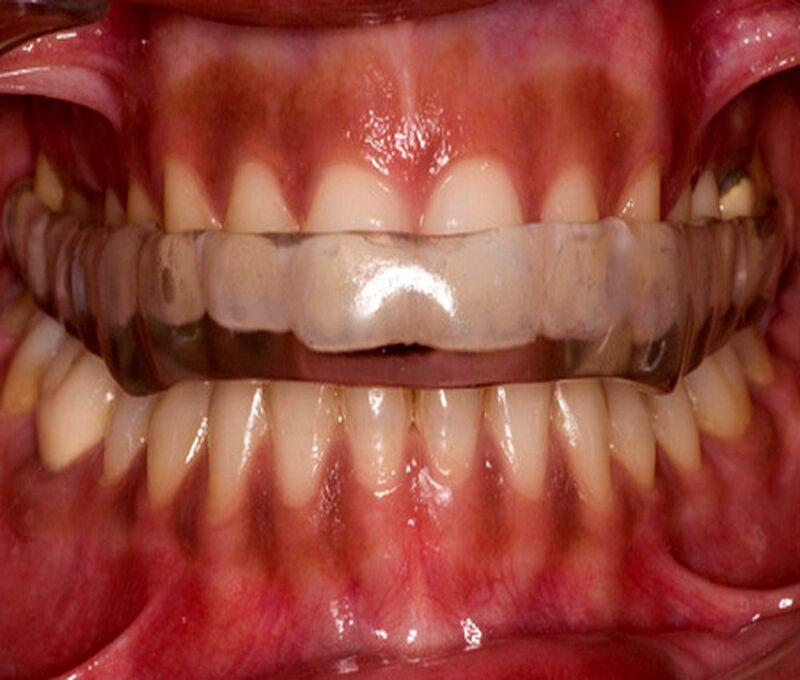 We’ll check your bite alignment, listen to your jaw for that tell-tale popping, feel for tenderness and assess to see if you are a candidate for a mouth guard appliance.